Good morning! Almost Friday - yeah! 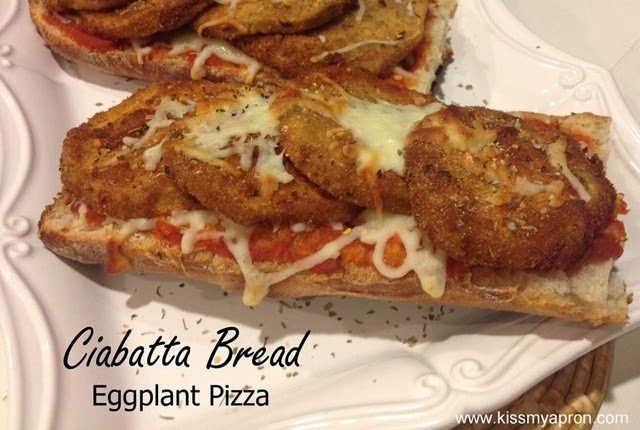 Last night I made ciabatta bread eggplant pizza. Ciabatta bread is an Italian bread made with whole wheat flour. If you've ever had a panini, it was most likely on ciabatta bread! Out on the east end of Long Island we have such a delicious bakery called The Blue Duck - this is the spot to get bread! 1. Preheat oven to 350 degrees. 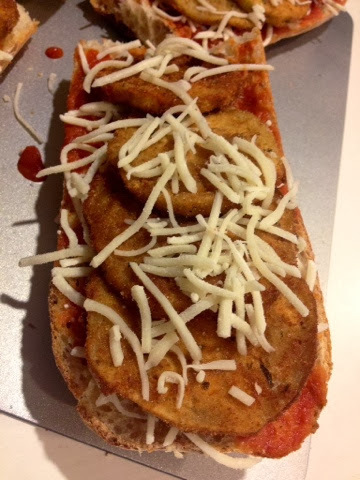 Cut loaf in half, then slice open (to make to sandwiches). 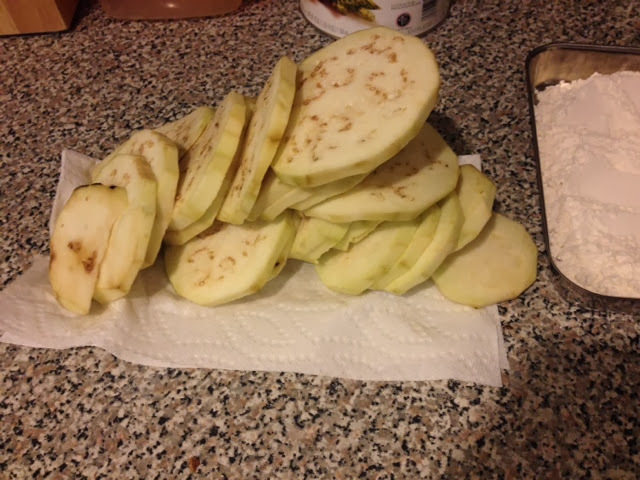 Place all slices on baking sheet, soft side up. 2. 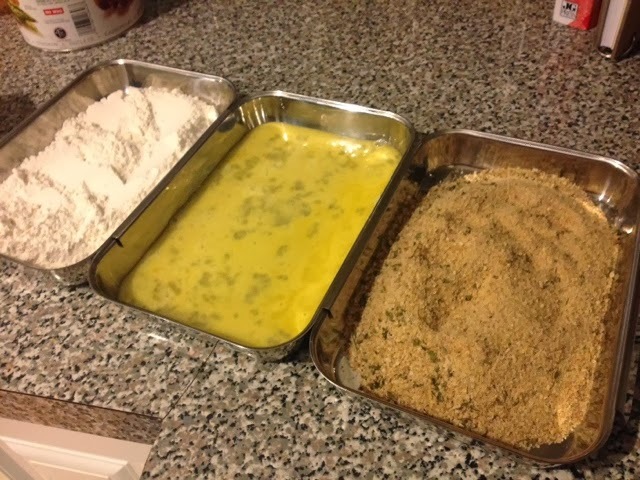 Fill three small bowls separately with flour, egg wash, and breadcrumbs. 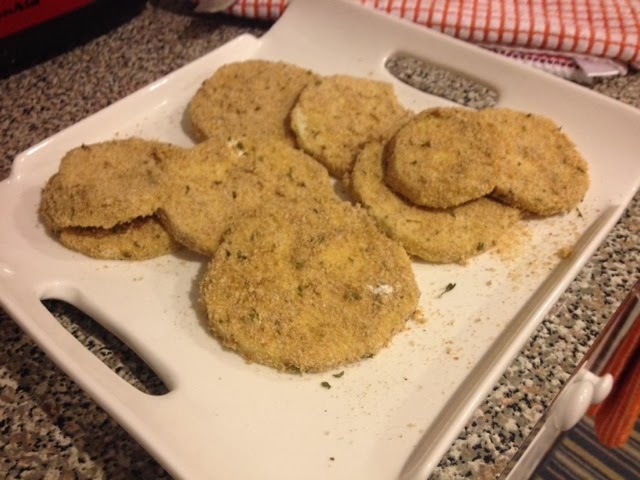 Dip each eggplant slice in order: flour, egg then breadcrumbs. 3. Heat oil in a pan to fry each slice until golden brown on each side. I used my deep fryer and each took about 45-60 seconds. Will take a bit longer in a pan. 4. Spoon sauce on each slice, a thin layer to cover entirely. 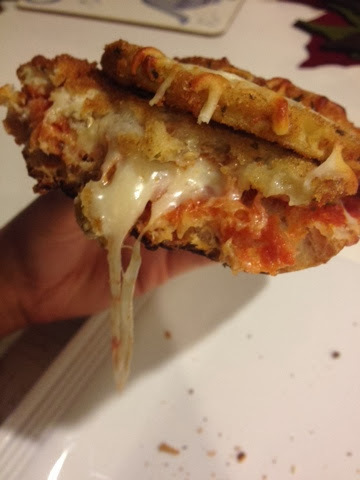 Cover each with mozzarella. 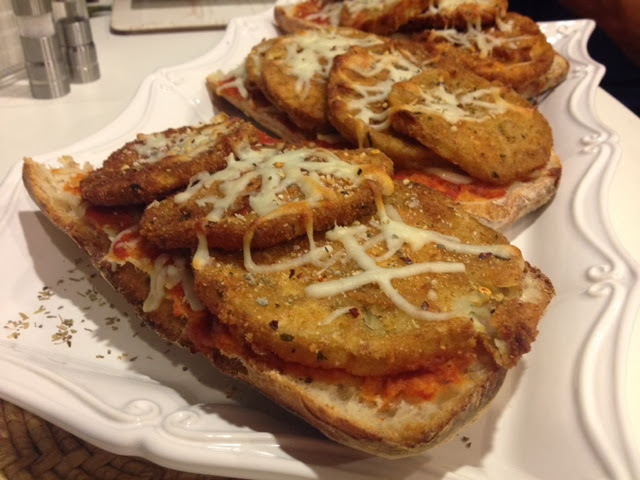 Place 3 to 4 slices of eggplant on each - and top with any leftover mozzarella. 5. On bottom rack, bake for 10 minutes. 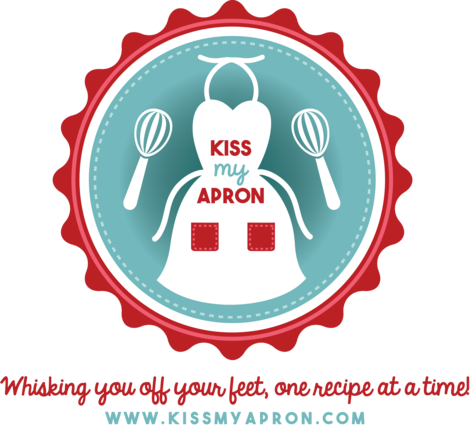 Turn heat up to 425 and bake on top rack for 3 additional minutes. I add 1 more minute to put on broil, just to crisp the top. I absolutely love these stainless steel dipping trays from William Sonoma - they make a great gift.